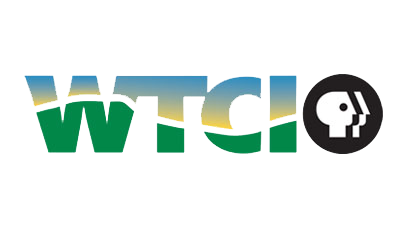 Transmitting across a 60-mile radius, WTCI's broadcast signal reaches Southeast Tennessee, Northeast Alabama, North Georgia and the Western tip of North Carolina. Primary channel with the full line up of PBS shows and local programs. How-to, cooking, gardening, crafts and travel from your favorite public television hosts. 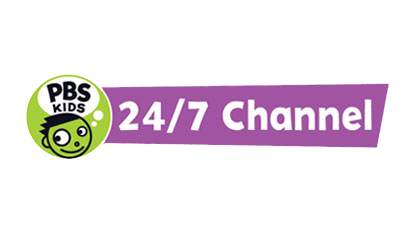 The only free, round-the-clock children's channel, presenting PBS KIDS and local features. 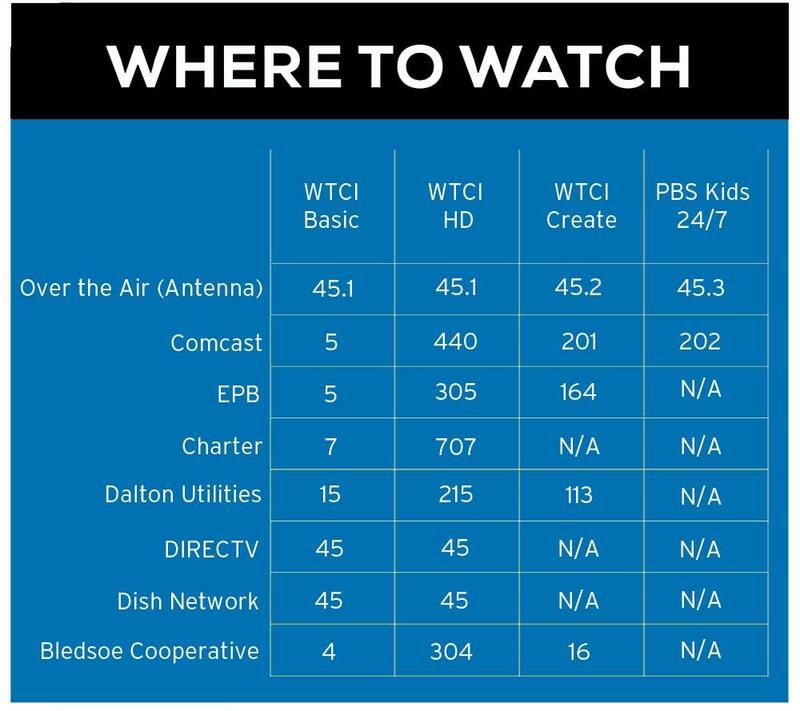 The Tennessee Channel is a joint effort between all six of Tennessee’s PBS stations to bring the best programming related to life in our state to all Tennessee residents. Each week, the Tennessee Channel features a four-hour block of programs and short subjects produced by public television stations across the state. The Tennessee Channel broadcasts simultaneously throughout Tennessee on each station’s additional digital channel on Saturdays from 6-10 p.m. ET (5-9 p.m. CT), and Sundays 2-6 p.m. ET (1-5 p.m. CT). We hope you enjoy this programming previously unavailable statewide. We want the channel to be of value to you, so please be sure to give us your feedback by contacting WTCI. For an up-to-date weekly schedule of programming, click here. 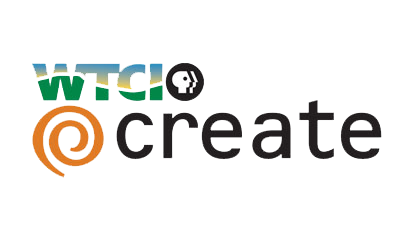 The Tennessee Channel is made possible in part by a grant from the Corporation for Public Broadcasting.